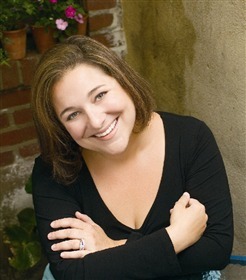 Jennifer Weiner is most recently the author of Certain Girls. Condition of Mr. Segundo: Avoiding literary desegregation. Subjects Discussed: The similarities between Good in Bed and Certain Girls, how to quantify the past, text as a responsive medium, an embedded critique of chick lit, being embarrassed by your mother, making Cannie more conservative, bluntness, effusiveness, the demands of having to write for an audience, the problems of writing a sequel, not wanting to disappoint people, setting a book in the future, Erica Jong, kids being scandalized, Jezebel Bright, science fiction, geeky components in Certain Girls, preoccupation with media culture, Anne Rice’s schlocky Jesus novel, writing true to one’s voice, poetry throughout Weiner’s novels, writing a book in 42 chapters, the ABC development deal, writing under a pseudonym, “pumpkin” as a safe word, self-help, surrogate mothers, Peter as the most understanding man in the history of marriages, and the happy enough ending. Correspondent: There are also these larger thematics, I think, in your work. In both of these books, you have a pregnancy happening while you’re having to let go of someone. In the first case, it’s the boyfriend. And in the second case, it’s the daughter. And this to me is intriguing. Likewise, there’s the poetry that is frequently throughout your books. And so I’m saying that there’s some stuff in here that I’m wondering why not push this further? It’s almost innately a part of a Jennifer Weiner book. Weiner: And no one notices it. It’s interesting. Weiner: Well, thank you. You are rare. You’re a rare reader. Because for most people, it’s like, “Yeah! Shoe shopping!” And I love shoe shopping. There’s nothing wrong with it. But I always like it when people get those little coded things that sneak in there. Because I was a closet Trekkie. Weiner: We can talk about that. Correspondent: Yeah, well, we can talk about that! Weiner: I’m in a support group. Correspondent: I mean, let’s say that you were to write a chick lit book. Or rather a novel. Let’s just do away with this really ridiculous term. Because, quite frankly, if we were to apply David Copperfield to the same standards, it would be a chick lit book because it ends up happy. Correspondent: So let’s just go ahead and do away with that. And let’s just talk about you, hypothetically, writing about a closet Trekkie who finds love or something. Or even Jezebel Bright. Weiner: Uh huh. Well, it could happen. I mean, I never really know what my next book’s going to be until it just kind of comes. So there’s two things I’m playing with now. One is fiction. One is nonfiction. And the fiction one has really dark, dark, dark stuff going on. And I’m not really sure how the whole science fiction part of the puzzle fits into it. But I don’t know if it’s going to be Jezebel Bright or if Jezebel Bright becomes the book within that book almost. The way it kind of did a little bit with Certain Girls and Lyla Dare and the Stargirls stuff. I don’t know. We’ll see. I’ll have to wait for my muse to get in touch. I’ll check my BlackBerry. Admit it, you wanted to fade out with “Rosie” instead.